/ Modified nov 13, 2015 5:41 p.m.
Friends Barbara Elfbrandt and Ted Warmbrand share memories of Appleton, an educator and Tucson folk pioneer who died at age 86. 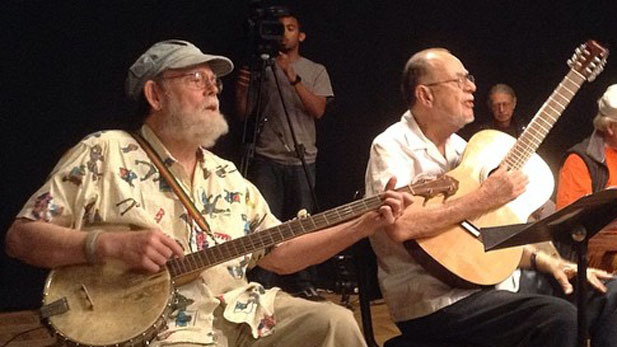 Appleton's friend and former student Michael Cooney (L) joins him on stage during the May 2014 reunion of The Tucson Folksingers. 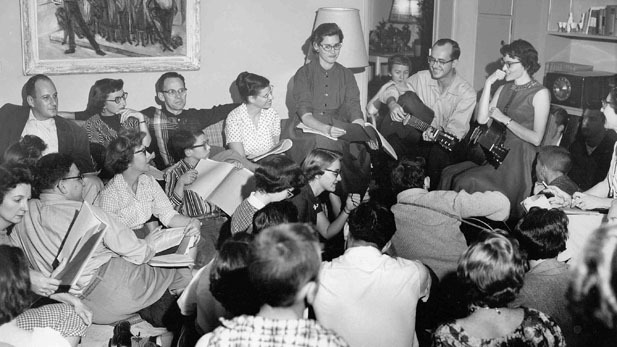 Starting in the mid-1950s, The Tucson Folksingers held open meetings where people from many different backgrounds gathered to share music, community news, and political awareness. But, original member Barbara Elfbrandt is quick to add that Folksingers founder Clyde Appleton's natural leadership and charisma played an important role in the group's popularity. 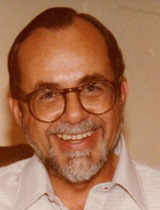 Appleton was a Korean war veteran and educator who became a civil rights activist, and he died on October 1st, 2015, just short of his 87th birthday. Mark McLemore asked two of Appleton's many longtime friends to tell more about Appleton. Ted Warmbrand is a folk historian who has been interviewing members of The Tucson Folksingers to preserve this story. Barbara Elfbrandt was a folk enthusiast and teacher who alongside her husband Vern Elfbrandt, and Clyde Appleton, took a case to the U.S. Supreme Court in 1961 that eventually abolished a politically-driven "loyalty oath" that had been required of Arizona state employees. 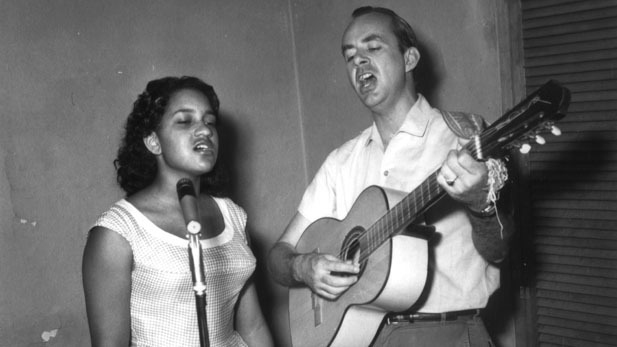 Clyde Appleton singing freedom songs with Teena Tombs after his 1963 return to Tucson from a teaching position in Raleigh, North Carolina. The five-year case was costly in financial and personal terms. As all three were working as eductors in the Tucson school system, they were each denied salary while the case was being heard, even though each continued to teach. The political ramifications eventually led Appleton to leave Tucson, and brought him to the attention of the F.B.I. who were later revealed to have kept Appleton under scrutiny for decades. Music heard in this interview was taken from Clyde Appleton's 1961 album "I'm Going to Live the Life I Sing About", original vinyl recordings remastered by Jim Blackwood.